The NRS River Bed Sleeping Pad lets you sleep anywhere your adventurous heart desires but your back may dread. Designed for multiday raft trips, this waterproof camp bed is perfect for camping by boat or by car. This product will be shipped directly from NRS and will leave their warehouse in 2-3 business days. Eligible for UPS ground shipping only. Constructed with the same tried-and-true material as our beloved Bill's Bags, the rugged, waterproof PVC exterior delivers maximum durability. 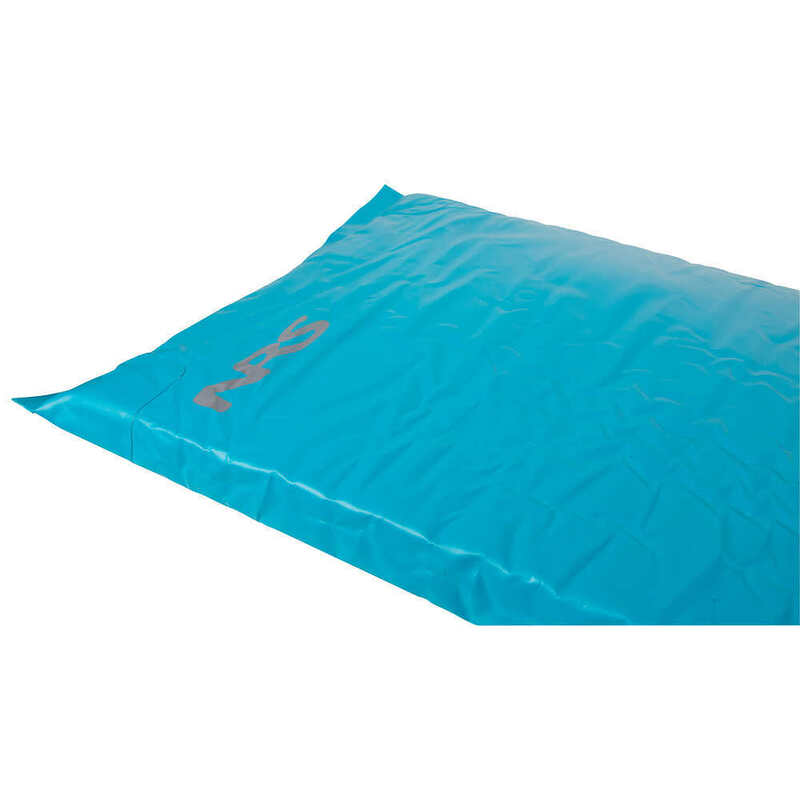 The inner polyurethane foam has a medium-firm density that shields you from rocks, sticks and pine cones while providing pillow-soft sleeping comfort. When you unroll the River Bed, push down on the stem of the top-quality Leafield C7 valve and turn it counterclockwise. 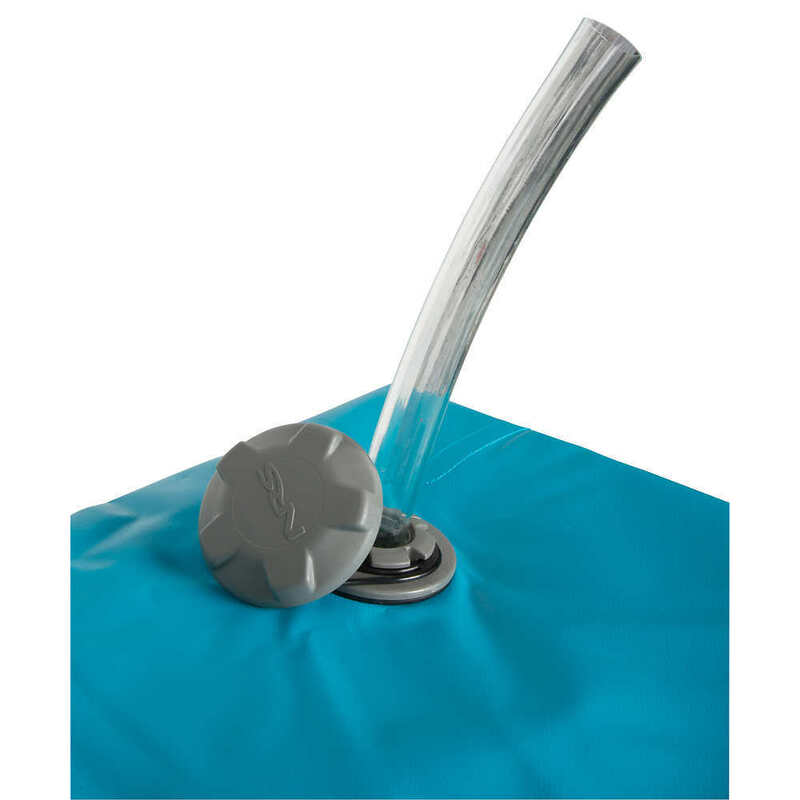 This opens the valve, allowing the pad to self-inflate. Close the valve by turning the stem clockwise and you're ready for a good night's sleep. For a firmer mattress, blow in a couple of puffs of air to stiffen it. But be careful not to over-inflate. Easily deflates and packs up simultaneously. As long as the valve is open, the River Bed deflates as you roll it up to pack it away. Two cinch straps with quick-release buckles help keep your sleeping pad rolled compactly for easy transport. 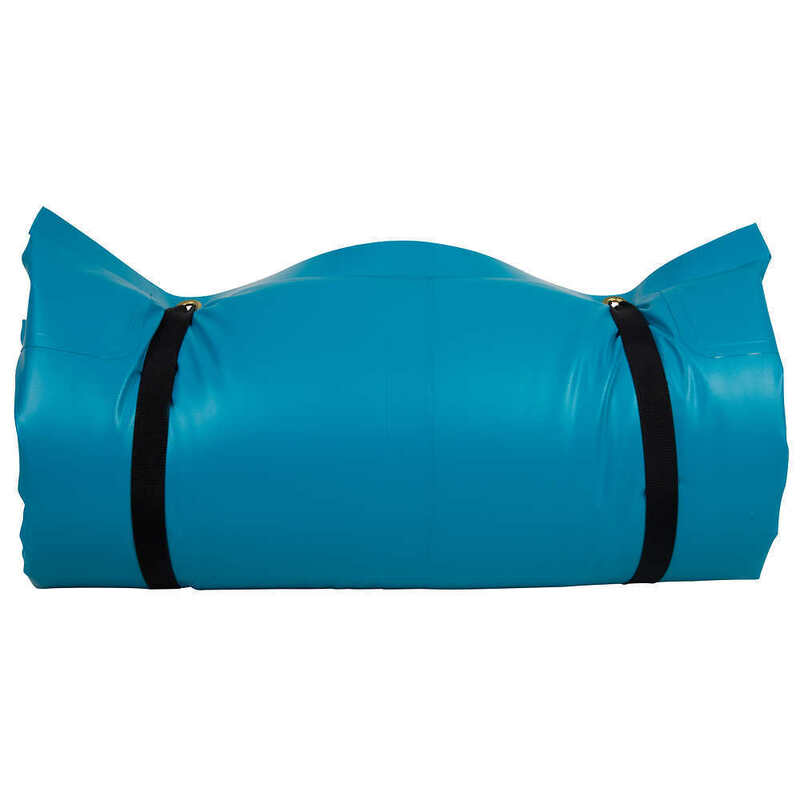 For rafters and other boaters, laying the NRS River Bed over a cooler or dry box provides extra insulation and a comfortable seat.